Classes are for the sailor who wants to charter a boat, own a boat or simply wants to advance their sailing skills and become a more competent and safe skipper. Do you want to charter your own yacht locally or at your dream sailing location? 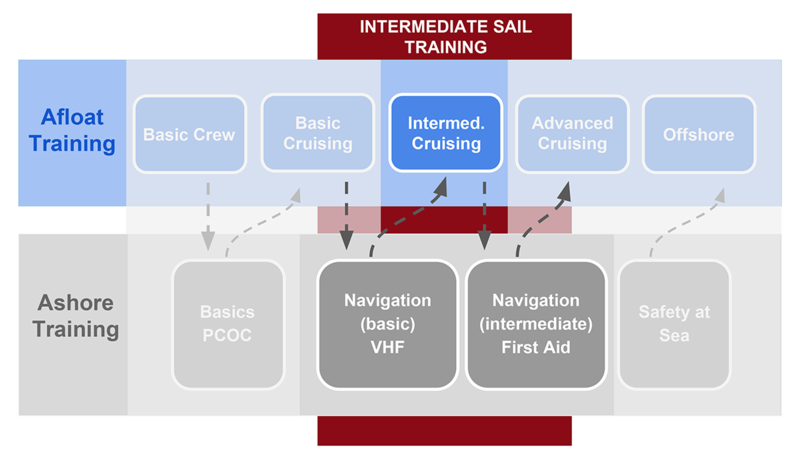 The intermediate sailing course will give you the tools to do so. The course focuses on boat and crew management. 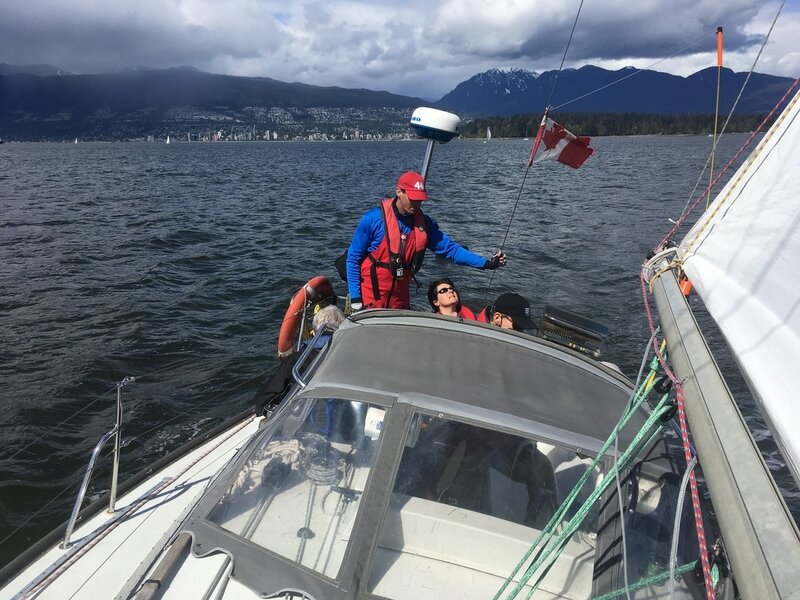 You will apply the knowledge gained during the coastal navigation course while we explore the Gulf Islands and Sunshine Coast. It is our experience that sailors joining the intermediate course might be rusty in their coastal navigation & boat handling skills. When is the last time you practiced a crew overboard drill as a skipper? Are you solid with plotting a DR, LOPs & danger bearings? Being current with these skills, will greatly enhance your experience during the intermediate course. The International Certificate of Competency (ICC) is mandatory in many European & Caribbean charter locations. The experienced sailor can challenge the ICC in a one day evaluation clinic. We offer personalized training for those who prefer additional training. An online course will prepare you for the written exam. To be able to cruise safely as a skipper of a sailing yacht of 9 to 12 meters, in moderate wind and sea conditions by day. The standard emphasizes on the skills at a level acceptable for bareboat chartering. 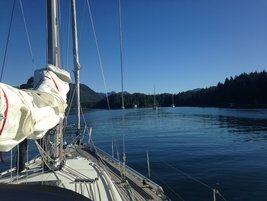 The sailing classes are offered in a liveaboard format sailing for five day in the Gulf Islands and Sunshine Coast. Now you are ready to go cruising along BC's beautiful coast. Explore Desolation Sound and enjoy a relaxed evening in one of the many world class anchorages. If you want to push into more remote cruising grounds, perhaps sail under a starlit sky, you can join our Vancouver Island adventures. 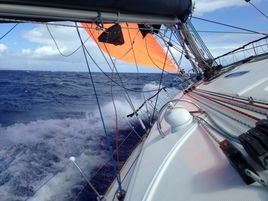 If you dream about crossing an ocean join one of our offshore sailing expeditions. You see yourself exploring the West Coast of Vancouver Island. You are looking for an introduction to offshore sailing. Join this great west coast adventure. We sail in ten days from Port McNeill around infamous Cape Scott back to Vancouver. 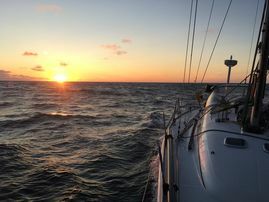 For two days you will sail at night, some 50 miles offshore, out of sight of land. For the ultimate adventure, combine both! You dream of sailing beyond the horizon, dolphins playing in your bow wave and albatrosses circling high above you. 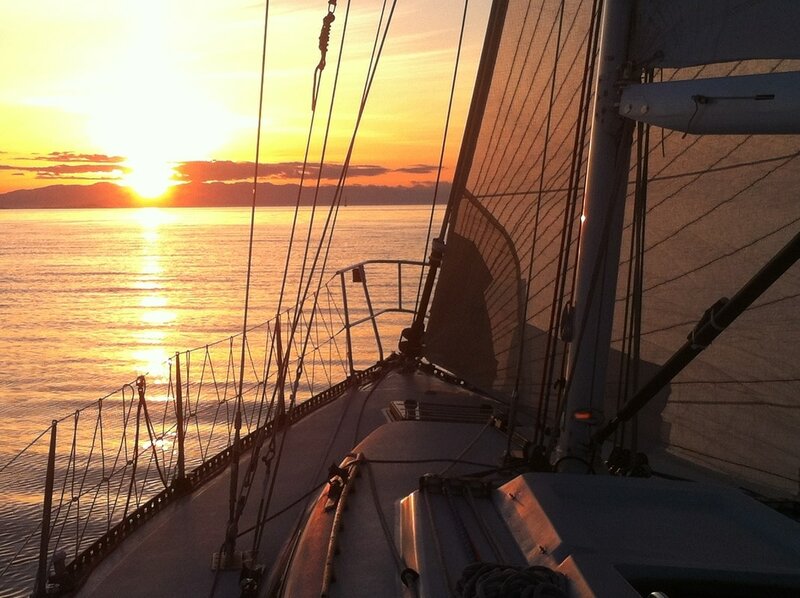 In 2019 we again offer a five day introduction to offshore sailing, non-stop from Vancouver to Astoria, OR. For the ultimate sailing adventure, join the Salient Racing Team and become part of the return delivery crew from Maui to Vancouver. This is your opportunity for a once-in-a-lifetime adventure. Follow Captain Vancouver's trek when he was exploring the West Coast. Anchor in Smugglers Cove and let your mind wander as you relax after a long day on the water. Desolation Sound is one of the most popular cruising grounds on the West Coast. Yet the generous anchorages will have a spot for you even in the midst of summer. Explore the beauty of the West Coast and gain insight what it takes to cruise these waters in this ten day cruise.